President of India Pranab Mukherjee inaugurating the mass yoga demonstration to commemorate the 3rd International Yoga Day at Rashtrapati Bhavan on June 21, 2017. New Delhi/Lucknow/Bhopal: President of India Pranab Mukherjee today (June 21, 2017) inaugurated a mass yoga demonstration to commemorate the 3rd International Day of Yoga at Rashtrapati Bhavan. Speaking on the occasion, the President said that on the initiative of Prime Minister Narendra Modi the UN had declared June 21 as International Day of Yoga. He said that yoga is an ancient Indian practice which is very useful for curing many diseases and health disorders. It is a holistic approach to physical and mental health and well- being. The welcomed all participants to the mass yoga demonstration and urged them to practice yoga everyday as a fit mind and fit body is the abode of God. 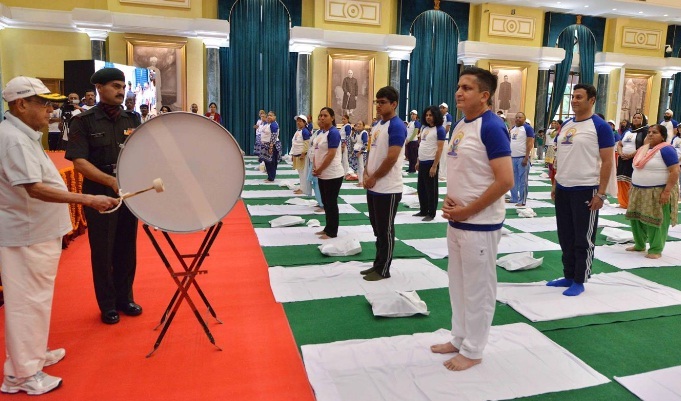 Officers, staff of Rashtrapati Bhavan and their family members as well as residents of the President’s Estate participated in large numbers in the mass yoga event. On the occasion of International Day of Yoga – 2017, the Prime Minister today participated in a mass Yoga demonstration event in Lucknow. Thousands of people gathered for the event at the Ramabai Ambedkar Maidan despite continuous rain in the city. Addressing the enthusiastic and vociferous gathering, the Prime Minister conveyed his greetings from Lucknow to all those joining the Yoga Day celebrations across India. He said that today, Yoga has become a part of many people’s lives. He said Yoga’s popularity is high even outside India; and Yoga has connected the world with India. The Prime Minister said he is glad to see several Yoga institutes take shape over the last three years, and noted that the demand for Yoga teachers is increasing. In addition to fitness, wellness is important, the Prime Minister said, adding that Yoga is a medium to achieve wellness. Urging everyone to make Yoga a part of their lives, the Prime Minister said that Yoga is about health assurance, and it is not even expensive to practice. Earlier, welcoming the Prime Minister to Lucknow, the Chief Minister of Uttar Pradesh, Yogi Adityanath, said that Yoga is a part of our tradition and it integrates us. Chief Minister Shivraj Singh Chauhan urged the citizens to do yoga everyday. 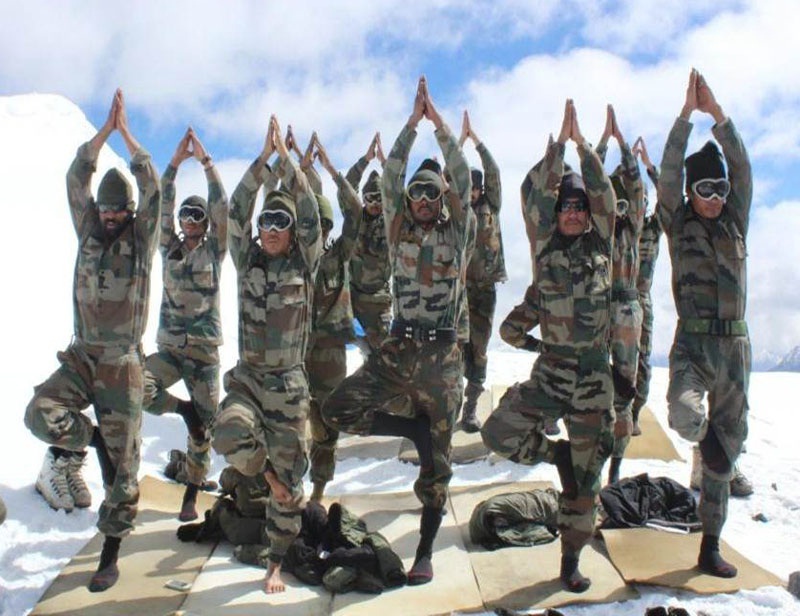 Yoga strengthens the body, leads to a happy state of mind and sharpens the intellect, Chauhan said while speaking at a special State Level Program to mark the International Day of Yoga. The event was organized today at the local Lal Parade Ground in the state capital.